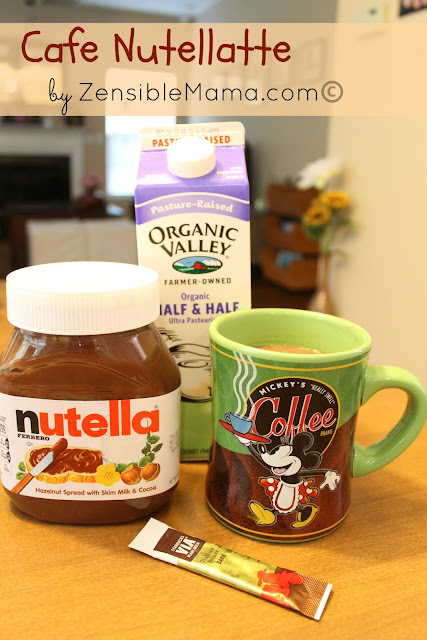 For my coffeeholic friends and Nutella lovers, this recipe is so simple and to die for! Yum. If you haven't done this before, you REALLY should try it. It's quite a coffeelicious recipe and was created out of my curious nature of mixing things up and seeing (tasting) how they'll turn out into. So far, my nutty experiment came out delish! Empty Via sachet into your mug, pour half and half in, then pour hot water ( I prefer it done in this order because the hot water acts up as a flash heat and heats up the cold creamer), immediately add Nutella and stir until dissolved. That easy! Enjoy! And for the daring ones, try my Blood Orange Cafe Mocha Recipe. You'll never look at coffee the same way again -- in a good way of course!